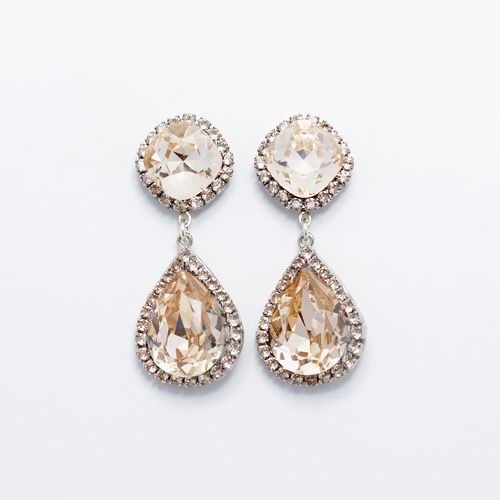 We are tickled to share all of our new goodies from HAUTE BRIDE have arrived! From champagne studs + bold statement pieces, these designer pieces are to-die-for + the perfect way to polish your bridal look. The HAUTE BRIDE accessory line is handmade in California + all of their designs have full customization opportunities (if you can dream it, they can do it!) + have a lifetime warranty. HAUTE BRIDE creates pieces with the intention of brides being able to wear their accessories not just for their wedding day, but for all special occasions that lie ahead.